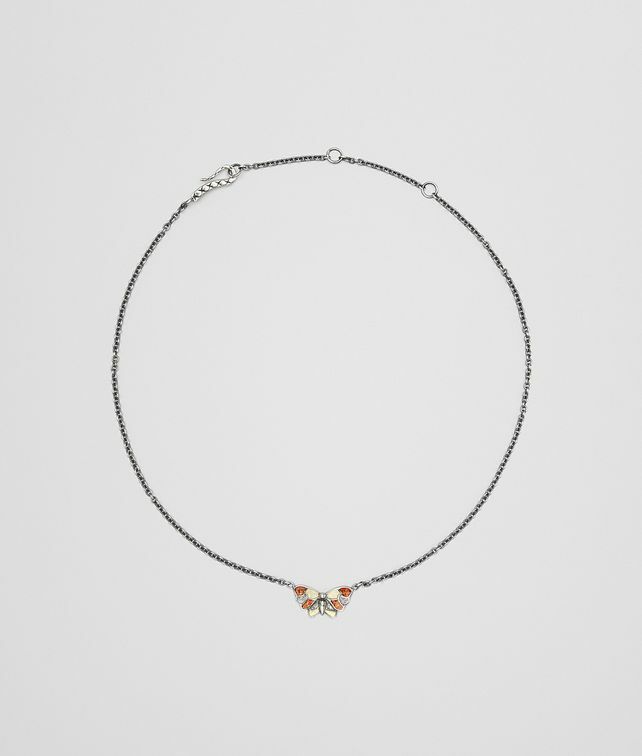 This charming necklace features a small yet impeccably detailed butterfly, Bottega Veneta's signature motif. The pendant is expertly painted with drops of brown, gold and silver-tone enamel. The thin silver chain can be adjusted to three different lengths.